يوفر فندق Il Palazzo Boutique Apartments ظروف إقامة راقية وهو خيار رائج للسياح ولرجال الأعمال أيضاً. يقع في منطقة سياحة, مطاعم, شواطئ من كيرنز. يمكن من هنا للضيوف الاستمتاع بسهولة الوصول إلى كل ما تقدمه هذه المدينة النابضة بالحياة. كما يمكن الوصول بسهولة إلى Michael Seebeck Gallery, كايرنز ريجنال, WetRez. إن Il Palazzo Boutique Apartments حريص على توفير الراحة للنزلاء، فلا يوفر الموظفون جهداً في تقديم أفضل الخدمات وضمان حسن الاستقبال. هذه بعض الخدمات الموجودة في هذا الفندق: واي فاي مجاني في جميع الغرف, خدمة التنظيف يوميًا, خدمات بريدية, مجهز لذوي الإحتياجات الخاصة, مرافق مخصصة لذوي الاحتياجات الخاصة. لقد جهزت هذه الإقامة الفندقية بعناية فائقة لتوفر مستوى عالي من الراحة. في بعض الغرف يجد النزيل اتصال لاسلكي بالإنترنت, اتصال لاسلكي بشبكة الإنترنت (مجاني), غرف لغير المدخنين, مكيف هواء, ميني بار. كما أن مجموعة الخدمات الواسعة الموجودة في الفندق لضمان راحتك تترك لك الكثير من الخيارات لقضاء وقتك أثناء فترة إقامتك. يحظى فندق Il Palazzo Boutique Apartments بموقع ممتاز وخدمات يصعب منافستها. يرجى ملاحظة أن خدمة الإنترنت اللاسلكي المجانية متوفرة فقط في البهو/مكتب الاستقبال. تبدأ ساعات العمل من الساعة 7 صباحًا إلى الساعة 7 مساءً في أيام الإثنين إلى الجمعة، ومن الساعة 8 صباحًا إلى الساعة 6 مساءً في أيام السبت والأحد والعطلات الأسترالية الرسمية. وتكون ساعات الاستقبال محدودة في يوم عيد الميلاد. 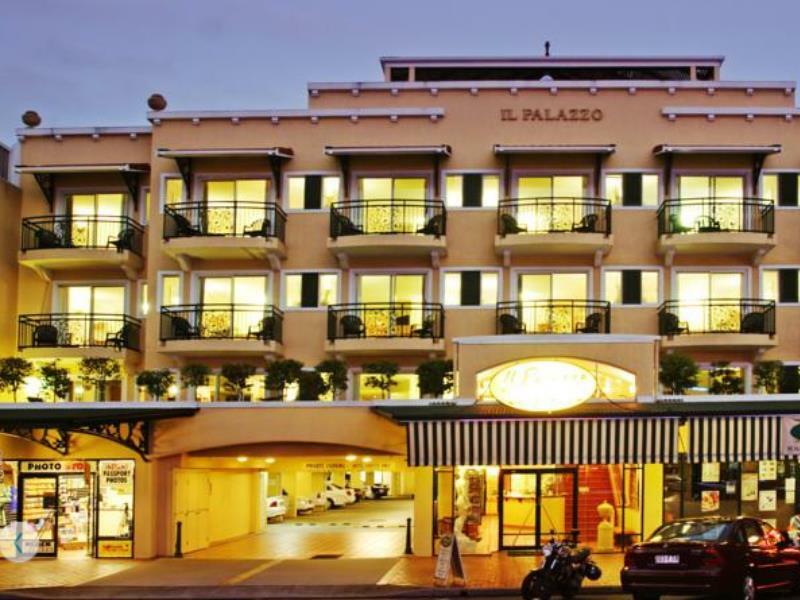 We enjoyed our stay in Cairns in Il Palazzo apartments. Everything was clean, staff very helpful and central location. Lots to do and see nearby. Our only criticism would be our bedroom was looking on to the front where as we discovered there were lots of bats. Ask to have a rear apartment unless you want to be driven “Batty”. Thank you for taking the time to send through your review. We do try our very best to accommodate all guests request. 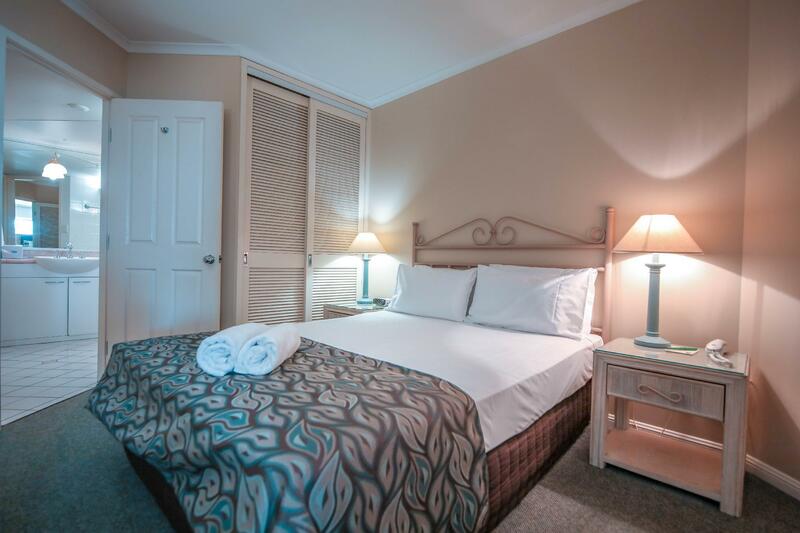 We are pleased to hear you have enjoyed your stay with us and we look forward to welcoming you again soon. Really enjoyed our stay. Good location amazing huge bats out the front of the hotel at dusk. Had a fab Vietnamese meal just outside the hotel to the left. Great location for night market. Reception staff really helpful book our train tour ticket (no additional cost) and full of great advice. Underground car park fab facility. Had a pool too which we never used but looked lovely. Coles supermarket 10 minute walk away (cross over rd and left from hotel). Would return great hotel and staff. Thanks for a great stay. We stayed for two nights. I was vert happy with the location and the room was spacious. The lady on reception (Caroline) was very helpful and shuffled some rooms around to let us check-in early as we had arrived on an early flight. I would recommend this accommodation as it's clean and tidy and in a great spot. The wifi was fast and the signal was strong. I stayed here for just 4 nights but in that short amount of time I was blown away by how helpful the owners are. From organizing tours, booking taxis, recommending restaurants - they clearly go above and beyond! Great rooms, great location! Would love to come back. The staff were friendly and very helpful. The apartment was very clean. The bathroom, in particular, was spotless. The kitchen facilities could do with an upgrade, not sure if the exhaust fan was blowing or extracting the cooking steam. The location is really good, just a few doors from the night market and an easy walk for groceries or great eateries. Thank you for taking the time to send us this feedback. We greatly appreciate all feedback as this helps us to improve our level of service. We trust you enjoyed your stay here with us and look forward to welcoming you again soon. Regards The Team at Il Palazzo. Location of the hotel is superb. Apartment is spacious and quiet. My only criticism is the internet is terrible. We were told that the internet would work within our room BUT IN REALITY it was necessary to sit in the lobby to use the internet. This was NOT only a problem for us. I met a number of guests in the lobby and everyone of us had the same problem. Great space, with tiny but real working kitchen. The apartments facing the street are noisy during the day and early evening but have the advantage of a ringside seat for the evening circus of bats and birds. We had a one night stay. In a 1 bedroom apartment. Staff were very nice, and we were shown to our room. Very clean and spacious. The only concern I had was that the air conditioning was not very economic. There needed to be a ceiling fan in the bedroom. Bathroom needed updating and if you were over 183cm tall you would not fit under the shower head and you would touch the ceiling in the shower (in the bath) if you were over 186cm tall. Otherwise great stay. PARTICULARLY FRIENDLY & GRACIOUS WELCOME FROM FRANCES. LOCATION, WITH ITS SECURE PARKING, COULDN'T BE BEATEN. VERY ROOMY SUITE. POOL LOOKED GREAT THOUGH WE DIDN'T HAVE TIME TO TRY IT. fRANCES WAS ALSO HELPFUL WITH WHERE TO EAT & WHAT TO SEE.THE STAINED GLASS WINDOWS (REEF TO RAINFOREST) IN ST MONICA'S WERE AMAZING. I thought hotel was a little shabby and tired for the price, ie tiles off bathroom wall, grout around shower a different colour, door from hall to bathroom had to be kept closed otherwise fire alarm went off and fire brigade turned up, when cooking fan on rangehood was to be on otherwise it also tripped fire alarm, and then you couldnt hear tv or anyone talking, balcony was also very small, i was told when I booked an extra night that i would have an ocean view but was not accommodated, I dont think they have ocean views. Definately wouldnt stay again I'd pay the same at the hotels on explanade and definately get an ocean view. We appreciate all feedback as this helps us to ensure we are delivering the best customer service. We do apologize for any inconvenience that occurred while you stayed with us. Have a lovely day. Great location, room needed a heap of cosmetic work done, good size though with ability to close bedroom off. The security screen door lock fell off, so no fresh air, I was told it wouldn't be fixed as it was too late, mid afternoon. We got stuck in the elevator for half an hour and when I mentioned it at checkout a male staff member said I had a bit of excitement and the female staff just said 'yes, sorry about that'. Pretty blase' with no real input of apology that it caused us to be late for appointments. A great stay in a great area. The secure parking did us well with a remote unit given to us for when the front office was closed. A well recommended hotel.